The popular Angry Birds game which was released for Google Chrome and Windows users few days back and recently it was made available for Windows Phone 7 users also. Now a Windows 7 theme which is based on this Angry Birds game is also released officially. 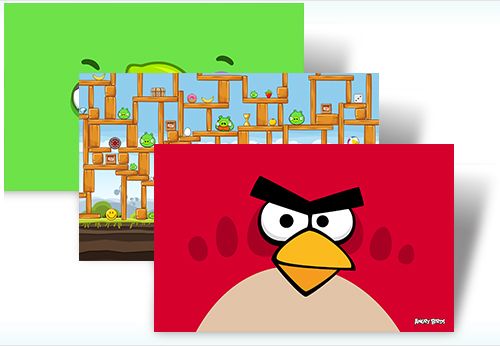 Angry Birds Windows 7 theme is available with 5 high resolution wallpapers (1920 x 1200 pixels). Unlike Ducati 2 and Classic American Road Trip theme, Angry Birds theme comes with 17 notification sounds. Nice theme of Angry birds cool!